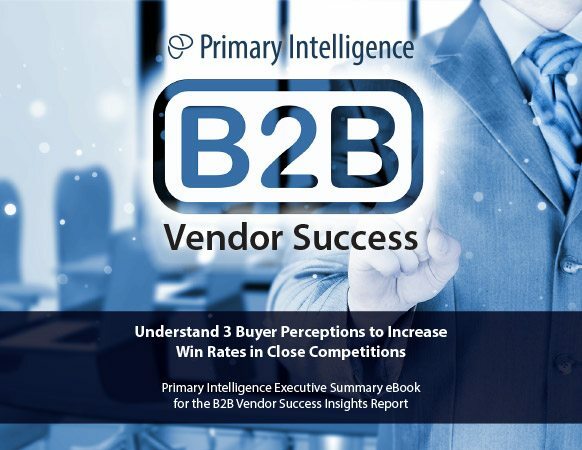 Primary Intelligence analyzed research from over 10,000 B2B purchase decisions since 2008 and identified perception factors most important to buyers from a holistic, company-based perspective. Of course B2B buyers are most interested in product features and functionality when evaluating vendors. But these 3 key findings related to the buyer’s perception of your company can tip the scale for you… or against you, especially in a close competition.